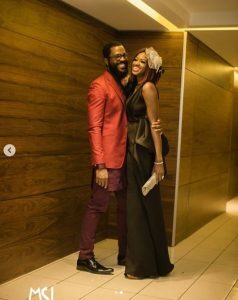 Former BBNaija housemate, Ahneeka has released some lovely photos she took with a handsome young man which looks like its a pre-wedding picture. 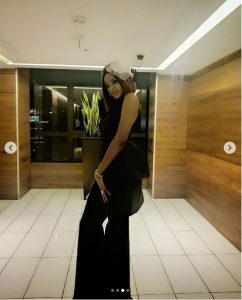 Ahneeka has teased her fans with suggestive pictures she took while attending the African Magic Viewers Choice Awards which took place recently at the Eko Hotel and Suites in Lagos State. Before fans beging to tag it as a pre-wedding, she quickly hinted that the man is just a friend.